A real plus to improve your mobility. The compact wallbe Pro Plus wall box features two charging points to double your driving benefits. 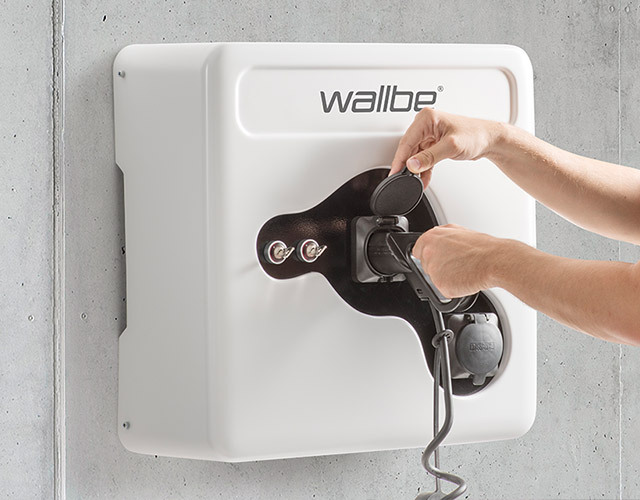 As a wall-mounted charging station in your company’s underground car park or outside in the visitor and employee car park, wallbe Pro Plus provides high charging performance in a minimum of space. If space is restricted, a compact wallbe Pro Plus wall-mounted charging station is the optimum solution. This station, with two Type 2 sockets or optional charging cables with Type 1 or Type 2 is ideal for locations where you need high performance in the smallest available space. wallbe Pro Plus enables integration of smart load/charge management, and individual, transparent accounting is possible via an interface. The entire wallbe infrastructure can be retrofitted and extended at any time and at a low cost. 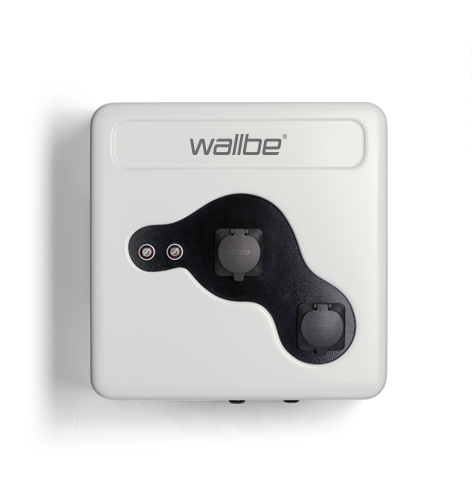 wallbe Pro Plus: the latest charging technology in a compact housing. The perfect solution for flexibly scalable charging infrastructures. Our solutions are supplied pre-wired, with prefabricated assembly aids and foundations for speedy connection.